With all the coverage of the recent April 2013 Nintendo Direct's 3DS announcements, somebody needs to talk about the Vita. After all, the Vita is ignored even by Sony themselves, so I'll give it the attention it may or may not deserve. We all know the Vita has failed to compete with both smart phones and the 3DS due to a lack of software, but it seems one developer is out to change this. 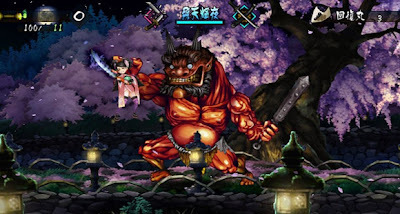 Muramasa: The Demon Blade was a 2009 international release on the Wii and was arguably one of the best games released for the system. However, this game had a heavy emphasis on Japanese culture and it lacked any form of marketing in the US and as a result the game failed to not only sell, but even catch any attention of the major video game journalism websites. Muramasa was the spiritual successor to a very similar game developed by the same studio and got a little bit more attention, Odin Sphere, a 2007 Playstation 2 release. 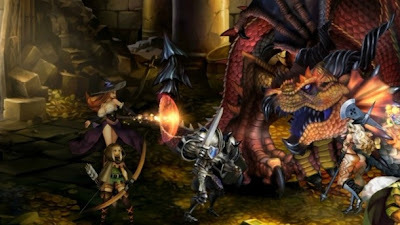 Both games are 2D side-scrolling action RPGs with fluid combat and gorgeous hand drawn visuals. Now it seems the developer, Vanillaware, has pledged its generous support of the Vita by developing an HD remake of Muramasa, subtitled Rebirth, as well as a brand new game that will also be available for PS3, Dragon's Crown. If you're unhappy that you missed Code of Princess on 3DS, Dragon's Crown has got you covered. In times when a console has no first-party support, it needs decent third-party support to survive. With two great new full-fledged RPGs, Muramasa having at least 20 hours of gameplay from my experience, Vanillaware could very easily be keeping the Vita alive all by themselves. If you are a Vita owner, be sure to send a heartfelt thank you letter to the awesome folks at Vanillaware. Oh yeah, and if you don't like niche Japanese games, sorry, but the Vita just is not for you at this point.